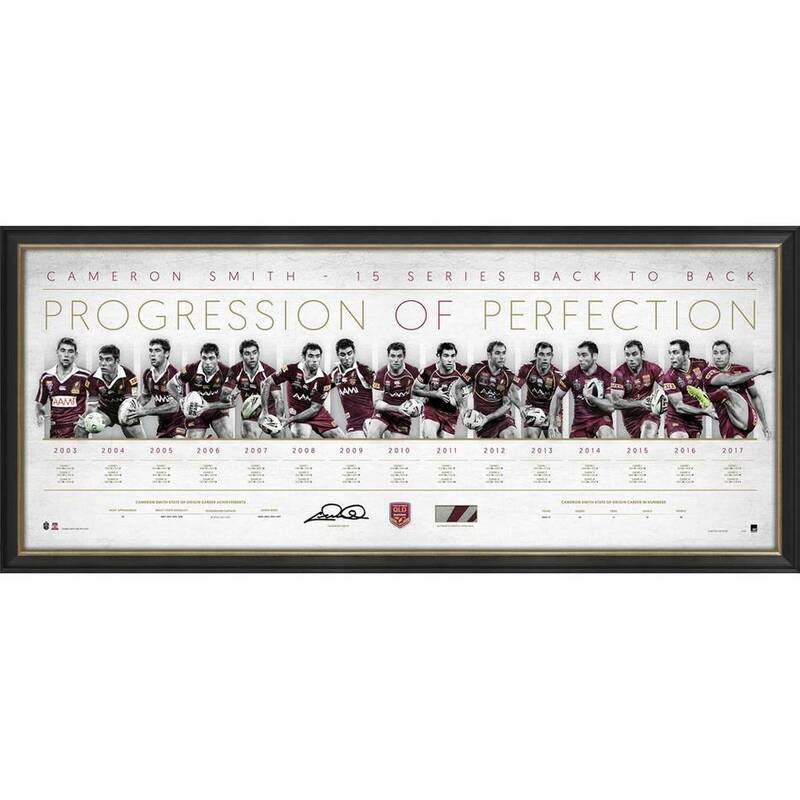 Official Memorabilia, in conjunction with the NRL and Cameron Smith, are proud to release ‘Progression of Perfection’, a stunning pictorial timeline celebrating Cam Smith’s unrivalled representative career. Limited to just 109 editions worldwide, ‘Progression of Perfection’ comes personally signed by Smith, and comes officially licensed and endorsed by the NRL for your peace of mind. This limited quantity won’t last – secure yours now to avoid missing out on your piece of State of Origin history.